On last night’s episode of Marvel’s Agent Carter, Hayley Atwell’s Peggy Carter made the tongue-in-cheek observation, “a movie based on a comic book? Sounds like a dreadful idea!” Well, that’s too bad, Peggy, because Marvel Studios doesn’t plan on slowing down production for movies based on comic books any time soon—or any time ever, apparently. 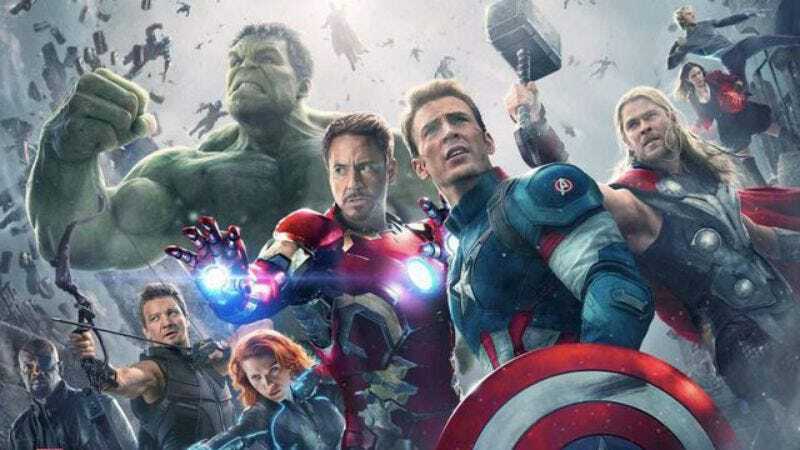 See, in a new interview with BBC Newsbeat, Disney CEO Bob Iger says Marvel movies will live forever. “Marvel, you’re dealing with thousands and thousands of characters—that will go on forever,” Iger says. Marvel Studios, which sorts its movies into numbered phases that don’t really seem to have a point other than sounding kind of cool, already has announced its upcoming releases through 2019. We are now in Phase III (quick refresher: Phase I = Iron Man, The Incredible Hulk, Iron Man 2, Thor, Captain America: The First Avenger, The Avengers; Phase II = Iron Man 3, Thor: The Dark World, Captain America: The Winter Soldier, Guardians Of The Galaxy, The Avengers: Age Of Ultron, Ant-Man). Phase III kicks off with Captain America: Civil War this May, followed by Doctor Strange in November 2016, Guardians Of The Galaxy Vol. 2 in May 2017, an untitled Spider-Man movie (yeah those are going to go on forever too, apparently) in July 2017, Thor: Ragnarok in November 2017, Black Panther in February 2018, Avengers: Infinity War Part 1 in May 2018, and Ant-Man And The Wasp in July 2018. Did you think we were done? Oh no—there’s still 2019 to get through! A little over three years from now, in March 2019, Marvel will finally release a movie centered on a female superhero: Captain Marvel. (While she might not have her own movie, at least you can get Black Widow toys now.) Then we’re back to dude-heavy ensembles with Avengers: Infinity War Part 2 in May 2019 and Inhumans in July 2019. Hopefully we won’t have to wait until Marvel is in Phase LXXV to see a little more diversity in front of and behind the camera.